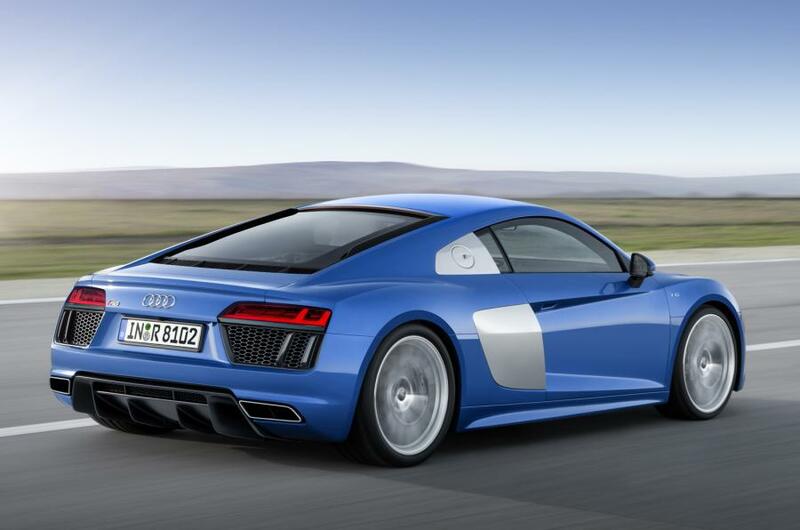 The second-generation Audi R8 has been fully unveiled ahead of its world debut at next week’s Geneva motor show. Surprisingly, the new flagship Audi is strictly a V10-powered machine, but somewhat unsurprisingly, its visuals are very much close to those of the new TT and the manufacturer’s latest brand identity. We knew that the new Audi R8 would take many elements from its Lamborghini cousin, the Huracan, and with that, the new everyday supercar from Ingolstadt harbours the firm’s most powerful engine yet, matching the Italian’s 601bhp from its 5.2-litre V10. However that’s just in the most potent tune of the 10-cylinder powertrain, with a 532bhp version of the engine available in a standard form of the new R8. The entry-level model reaches 62mph from standstill in 3.5sec onto a top speed of 201mph; the R8 V10 Plus, on the other hand, manages it 0.3sec faster and tops out 4mph higher. A V8 powerplant has been ruled out due mostly to strict tax laws on engines over 4.0-litres in capacity in markets such as China. 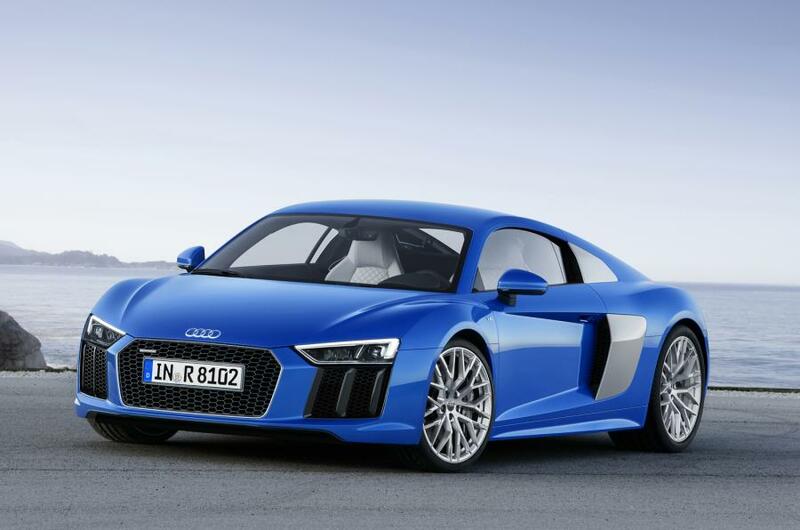 However, Audi has said it is “working on a solution”; possibly indicating a smaller and cheaper Audi R8 could be on its way in due course. The V10 itself has been heavily updated, with a new cylinder-on-demand system and an exclusive now standard seven-speed dual-clutch S-tronic gearbox. A stop/start system has meant tweaks to the transmission, while a new faster-reacting four-wheel-drive system is now in place that features on the Huracan. Introducing the cylinder-on-demand system, among other new features, have brought about a claimed 10 per cent improvement in fuel consumption at 23.9mpg and 22.8mpg for the V10 and V10 Plus versions respectively. Drawing eyes to the new R8’s design, the car certainly takes on a similar shape to its predecessor, but with much more influence from the latest TT model in details such as the headlights and grille area. Audi insists that every exterior element is new, with the lighting arrangement at both front and rear of the car admittedly very different from the first-gen R8. Meanwhile, the V10 Plus model gets a distinctive rear wing to distinguish itself from the standard version. The introduction of Audi’s optional new laser headlights will also help give the new R8 an updated identity, technology that also uses laser-guided spot lamps for the high beams and dynamic turn signals at the front. The rear lights get similar signals. The new R8’s dimensions are similar to the car it replaces and is just as long, but its width has been increased by 39mm and it sits 9mm lower. Audi has managed to reduce the new R8’s weight by 66kg, with a new 200kg spaceframe that underpins the car a key contributor. Aluminium is a main feature of the new R8’s make-up but carbonfibre-reinforced plastic elements also help shrink the car’s mass to 1454kg. Rigidity is also said to have been increased by 40 per cent. Such a revised structure for the second-generation R8 has been influenced through researching the firm’s motorsport creations, mainly those in its LMP and LMS racing programs. Double wishbones front and rear make up the R8’s suspension set-up, while an optional Magneride package can offer variable damping control. Inside, the new R8 has been thoroughly revised to give a much driver-focused cabin that has been minimalised and made more modern with a similar TFT screen to the TT. A Spyder version will no doubt follow and is likely to be revealed close to the year’s end; meanwhile, more interestingly, Audi has resurrected the R8 e-tron project that will have 456bp and 679b ft of torque available. More efficient battery cells should see the car have a range of around 280 miles. 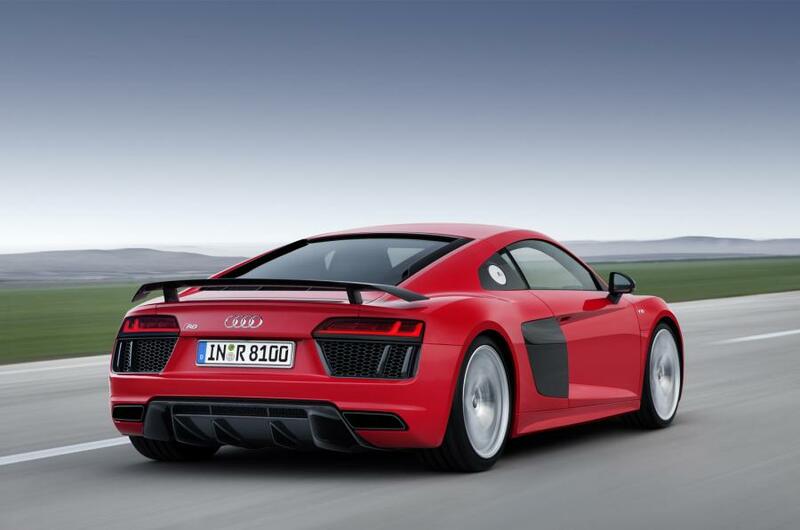 Stay tuned for more not he new Audi R8 after we get a first-hand look at the car at next week’s Geneva motor show.